In Pennsylvania a little known quarry is turning out a black granite with dramatic veining, and it’s showing up in both living rooms and city parks. One of the challenges of large scale architectural projects using natural materials is consistency of material over large lot sizes, and over long build times. One natural stone that meets these demands is American Black granite which Polycor quarries in Pennsylvania. Because Polycor owns the quarry it has total control of supply, ensuring it can supply blocks of the same quality of color and veining, no matter how long the project takes. American Black granite meets a wide range of designs thanks to the versatility that comes from two different cutting directions. One directional cut provides a consistent linear veining while the other yields a gentle, consistent, wavy movement. An American Black Granite slab, linear cut with antique finish. A mockup of an architectural project featuring American Mist with thermal finish. The left panel is wet to show the intense black color of the granite when enhanced. Those “swirly” mists Lemieux refers to is the product of slicing the granite blocks against the grain, also referred to as a fleuri cut. 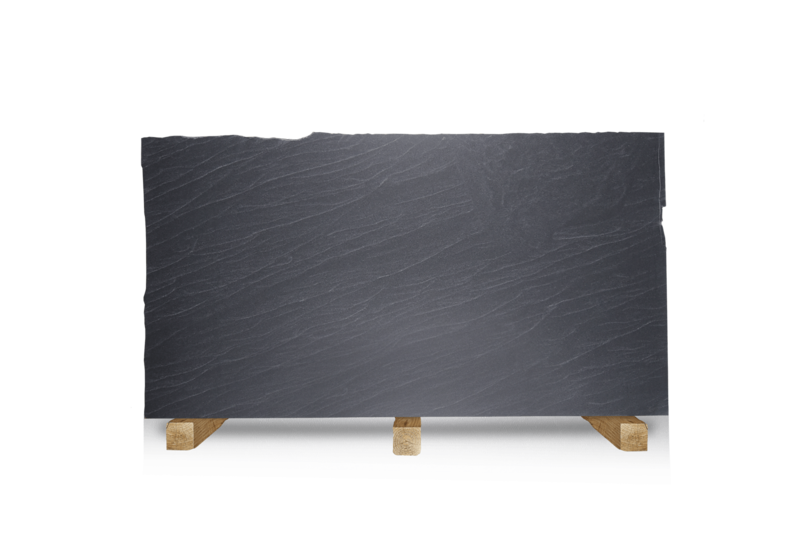 An American Black granite block cut in this way is called American Mist for the swirling spray pattern revealed within the stone. What’s the difference between Jet Mist and American Black granites? Don’t be fooled by these look alikes. American Black and Jet Mist quarries are not too far from each other but yield much different qualities of granite. This granite deposit runs like an underground river down through the mid-Atlantic states, with markedly different appearances throughout. If you were to map the appearance of the granite deposit on a color spectrum it might appear as a black to grey ombre from North to South. At Polycor’s Elverson, Pa. quarry the company pulls blocks of American Black granite, deep in black color with linear white veining. The tight interlocking mineral structure of this granite gives it superior density, uniform background color and surface quality. Specifying the right granite can be tricky when the names are so similar. In the global market supply chains can be muddy. Products are often renamed by distributors and origins are getting tougher to determine as companies import, relabel and export materials. 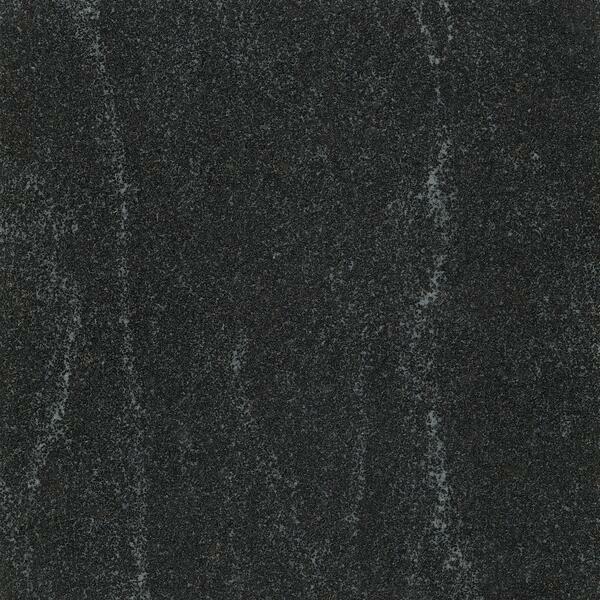 Specifiers looking for a true black granite with a linear vein should be clear when requesting material. Polycor headquarters features a floating wall of American Black granite mounted with the new Eclad 1 system. 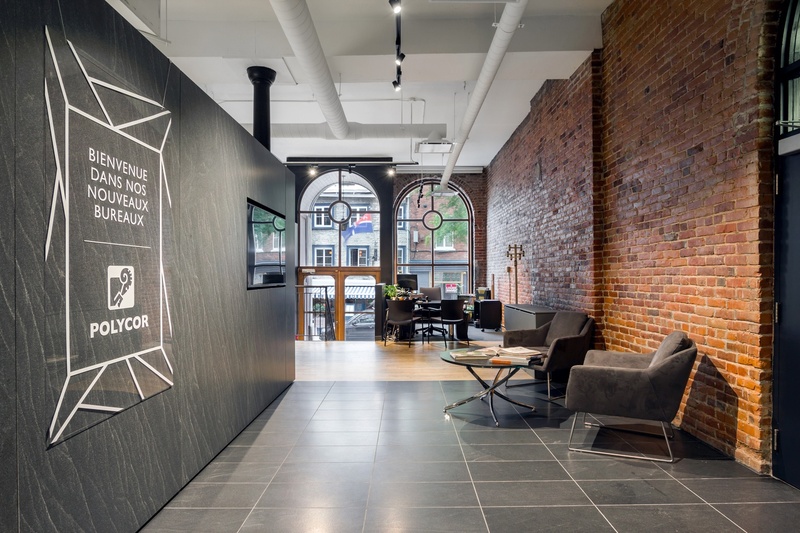 Photo credit: Dave Tremblay See more at Arch Daily. Because American Black granite is naturally black there is no need for resin treatment or dye to enhance the background color. With a subtle, unique and consistent veining that differs from marble – American Black is truly unique. An ultra hard wearing natural stone, American Black granite has none of the maintenance, like etching or staining, associated with marble, making it an ideal choice for fireplaces, kitchen countertops and even the high traffic stairs of a busy subway terminal. 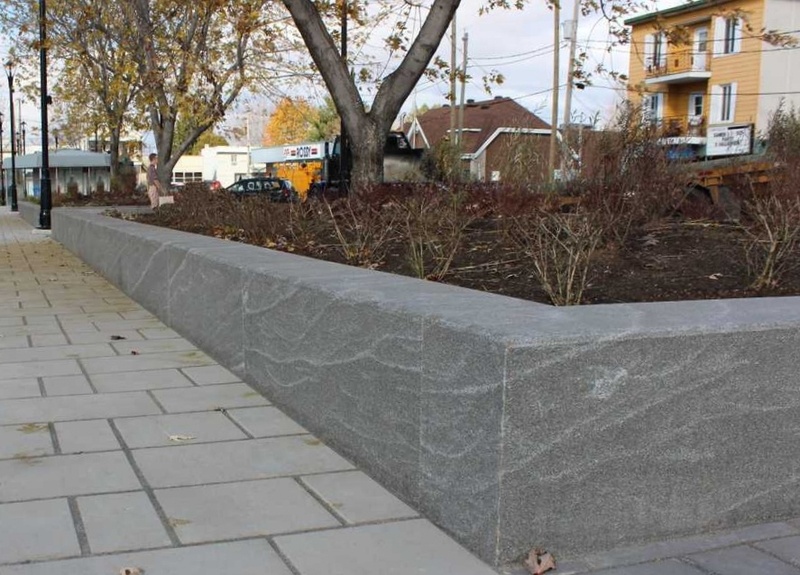 Is American Black granite the right material for your next project? Get a sample and see.